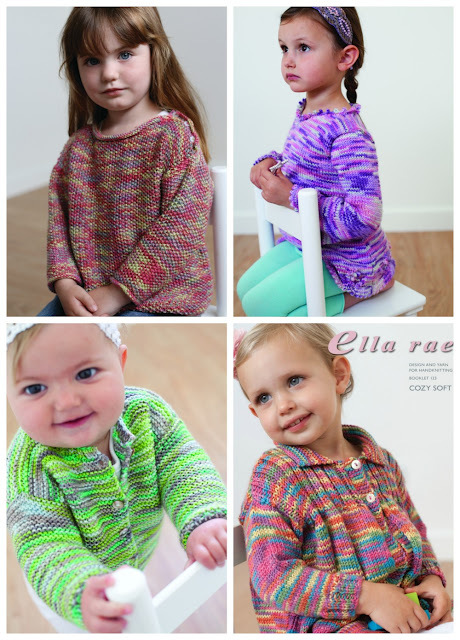 Ella Rae Cosy Soft Prints is a DK weight yarn. It's a blend of 75% acrylic and 25% wool, and has a beautiful sheen. We have 7 shades in stock and it comes in big 100g (195m) balls. £5.95 a ball - many baby garments can be knit from just 2 balls. We think it'll look great for accessories and adult garments too! 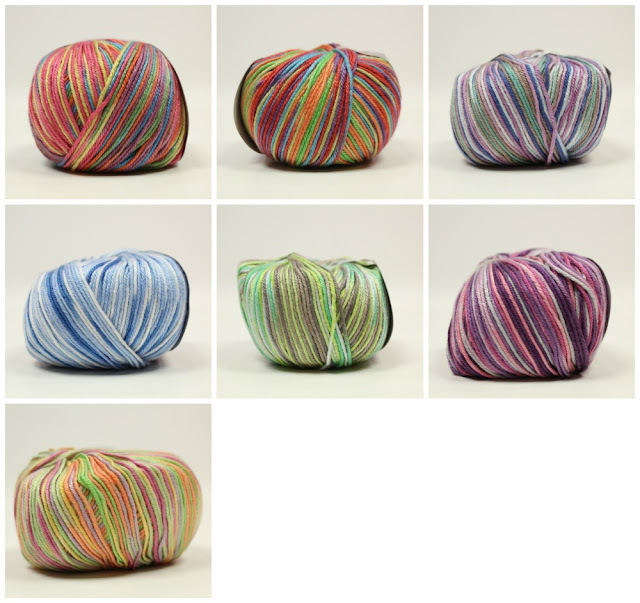 This is a variegated yarn! It doesn't stripe. And of course we have a cute shop sample too! 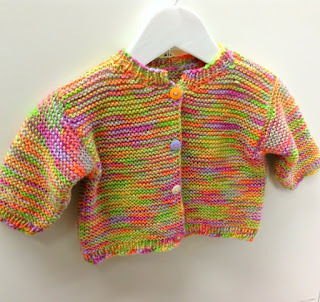 Carrie a very simple knit!